The mountains of Bavaria and the Tyrol are home of some of the most spectacular scenery of the Alps. 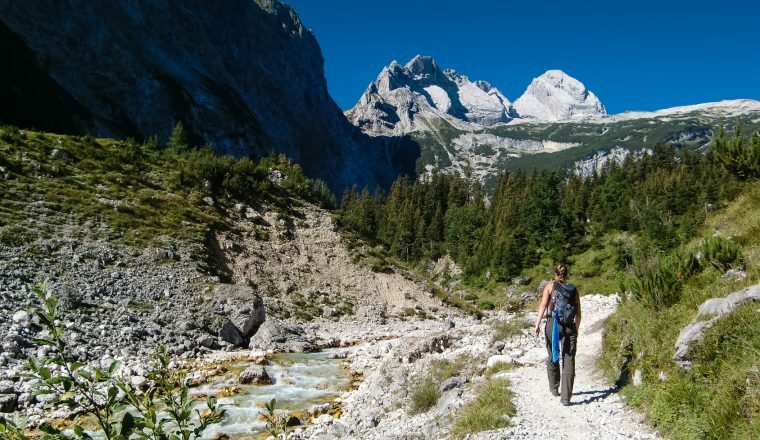 Gorges and deeply cut valleys lead up to alpine pastures and intimidating summits of Wetterstein and Karwendel massif. During this trekking tour you can expect stunning views, surrounded by ragged peaks. There is an almost unbelievable number of summits, high altitude paths and rustic alpine cabins. You cross National Park Karwendel up to the Northern Chain, where you finally glide down into the valley to Innsbruck by cable car. Special arrangements for groups of min. 4 persons possible. Walking time: approx. 7.5 hrs. Transfer deep into Karwendel valley. Comfortable start with walk up to Halleranger alpine pasture which takes about 2 hrs. Take it easy or hike up to Sunntiger Spitze. The next two nights are spent on Halleranger Alm. Walking time: approx. 2.5 to 5 hrs. 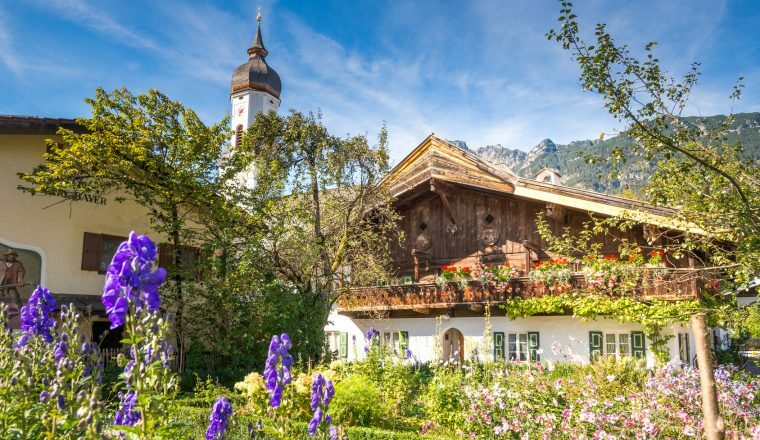 Today you have a choice: enjoy a relaxing day of rest at the alpine cabin or take a couple of interesting summit tours into the stunning Karwendel massif. According to your fitness level and agility the host will recommend suitable tours. A marvellous high altitude path crosses several ridges (passes) to well known Northern Chain. One short but steep climb requires surefootedness and stamina. Afterwards you head on to the summit station of Hafelekar and glide majestically downhill to Innsbruck. Walking time: approx. 6 hrs. Accommodation 4 nights in hotels, 3 nights in cabins (dormitory). Seven nights accommodation in good quality hotels and cabins , luggage transfers, maps and route notes and back up if required. 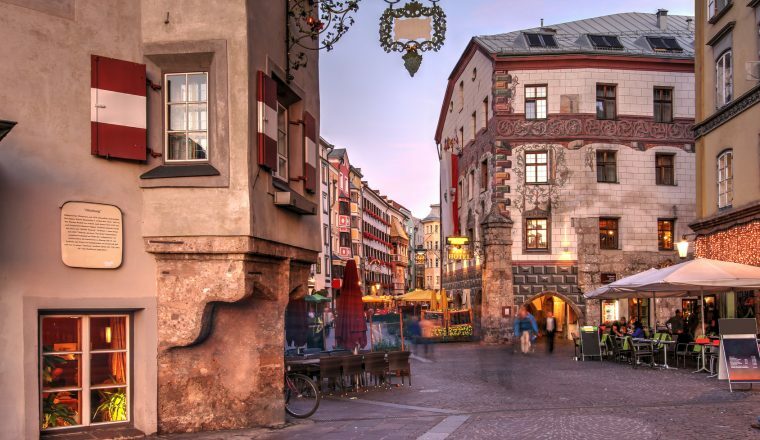 Munich or Innsbruck are the most convenient airports to fly into and there are numerous flights in and out of both airports with different airlines. 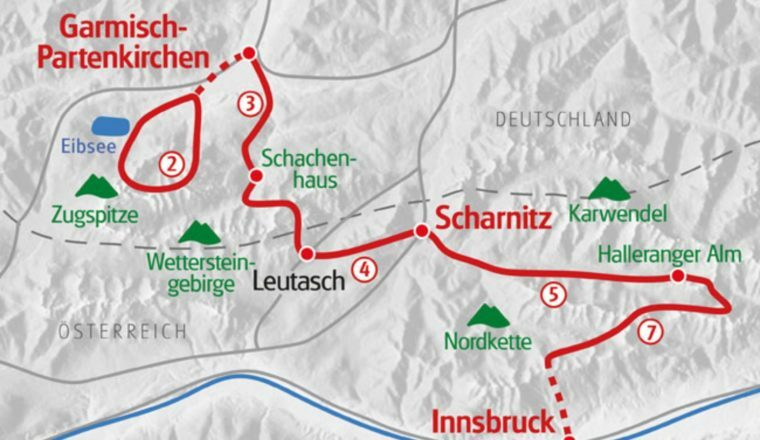 From Munich there is a train from the airport to Munich and then a direct train to Garmisch Partenkirchen that takes approx 2 hrs 30 mins. Further details of train times can be found here: http://www.bahn.de/i/view/GBR/en/index.shtml including for travel onwards from Innsbruck.